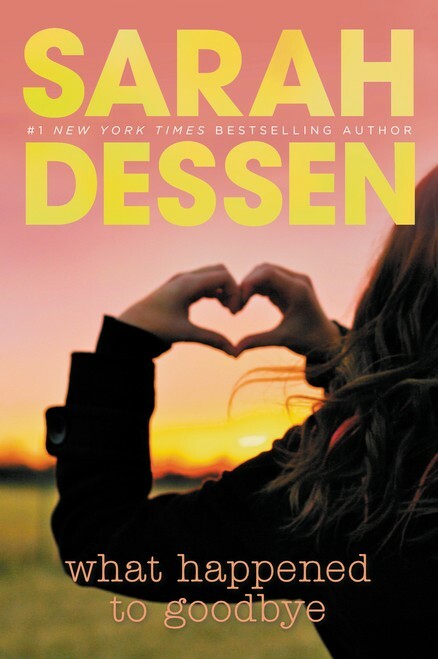 I admit I'd never heard of Sarah Dessen. I admit I've read only the first 50 pages or so of her novel What Happened to Goodbye (new in paperback from Speak, an imprint of Penguin). But already I can see why Dessen's novels have sold in the millions, why they've been translated into more than two dozen languages, why her work regularly makes the list of the American Library Association's best books for young adults, why two of her novels were adapted for a film (How To Deal, starring Mandy Moore), and why, for Dessen's book signing at The Booksellers at Laurelwood on Thursday, April 18th, at 6 p.m., a line ticket is required. (Ticket available with the purchase of any Dessen title.) And based on 50 pages of What Happened to Goodbye, it's a fact: Sarah Dessen has a sure way with the issues facing today's teens. She's just as sure on the issues facing parents. Her proven page-turning appeal: understandable, undeniable. So's the appealing personality that goes with her website's blog. Photographer Nell Dickerson Talks Fluent "Dog"
With the advent of air-conditioning and due to most builders, "porch sitting, one of the most significant pastimes of Southern culture, has since gone the way of hand-churned ice cream and the quilting bee," Memphian Nell Dickerson writes, and she mourns the loss. But tell that to the canines sitting pretty in Porch Dogs (John F. Blair, Publisher), Dickerson's collection of more than 60 handsome color photos. House dogs, yard dogs, shop dogs, swing and bench dogs, water-loving dock dogs, top dogs (who sit for their portrait from second-floor perches), and under dogs (cooling beneath the porch): These are Dickerson's categories. No need, though, to bother Biscuit, Cleopatra, Teeny Baby, Liza Jane, and Gotcha with name-calling. They're in hound heaven on the porches that still stand throughout the South — whether, in Dickerson's photographs, we're in Memphis, Mississippi, New Orleans, Alabama, or Charleston. And true to Dickerson's abiding concern for documenting what remains of the past — see her previous book, Gone: A Photographic Plea for Preservation (from 2011) — this makes Porch Dogs a dual-purpose project. From grand doorways to humble storefronts, these are splendid examples of the South's architectural heritage stretching back to the late 18th century. The subject is Life After Life. And no, not the new novel by that title by Kate Atkinson. I mean the new novel by that title, from Algonquin Books, by Jill McCorkle. And note: That's life after life, not life after death, because McCorkle, who teaches creative writing at North Carolina State University, has had it with vampire stories. She said so recently from Jackson, Mississippi, one stop on her 28-city tour to promote her latest novel, her first in 17 years. That tour includes Memphis, where she'll be reading from and signing Life After Life at Burke's Book Store on Wednesday, April 17th, from 5:30 to 6:30 p.m. But back to that topic: vampires. "That's a pejorative term in many atheist circles to describe an atheist who's seen as too accommodating to people of faith. It's something I was called the first time I went to an atheist meeting." So says Chris Stedman, who borrowed that term for the title of his memoir, published late last year by Beacon Press. And perhaps, according to nonbelievers in some circles, Stedman is indeed too accommodating to people of faith. The subtitle of Faitheist admits as much: "How an Atheist Found Common Ground with the Religious." That's the topic Stedman will present in a lecture, free and open to the public, on Monday, April 8th, inside Rhodes College's Hardie Auditorium at 7 p.m. It's a topic he addresses on the NonProphet Status blog, online at Huffington Post and The Washington Post, and as assistant humanist chaplain at Harvard University. It's a topic he further explained in a recent phone conversation from his home in Boston. Of his Monday night lecture: "I want to stress the importance of constructive and compassionate understanding between people of faith and the nonreligious." How does an atheist and young man — Stedman turns 27 on Tuesday — arrive at such understanding? Especially since he grew up in a nonreligious household? Especially since he converted to an evangelical church at the tender age of 11? And especially since, since his freshman year in high school, he has made no mystery of the fact that he is gay?